We've always aspired to have a room with a view every time we head out on a holiday, and the Advait valley camp in Mahabaleshwar proves to be just that. Imagine waking up the sound of birds chirping, mist in the air and a gorgeous sunrise to add to all this beauty. While it sounds like a dream holiday, you can actually make that happen, at an affordable rate mind you, in a place close to Mumbai. Camping out in a tent is truly a fun experience, and if you've never done it before, try giving this a shot. 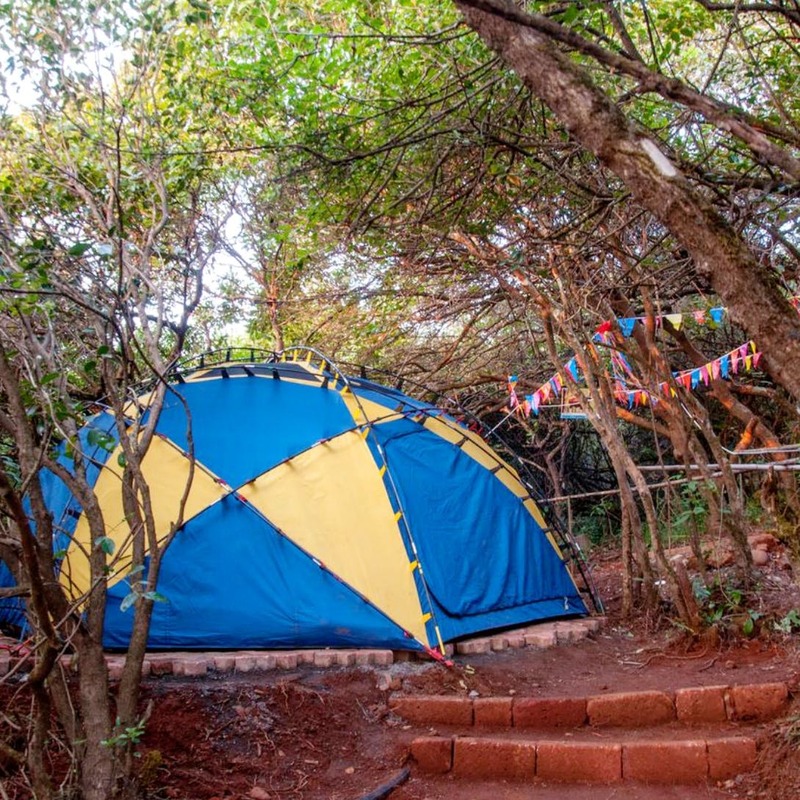 The Advait valley campsite is in Mahabaleshwar, 100 meters away from the Mahabaleshwar temple and two miles from Authur's Seat. The campsite is atop a garden overlooking the hills, so the view is heavenly, you also get to enjoy barbecues, a sun terrace and you can hike around the region to explore. The place even has board games in case you''re feeling a little lazy and don't want to hike about. The place even has temporary art galleries, a game room and walking tours. Gift yourself the perfect experience already! The staff is friendly and will help you with what you need. If you're a guest, you get to also enjoy a buffet breakfast. Please note that at the time of writing this, the price for two people was INR 3,600 per night. Pack your bags and don't forget to have fun and Instagram from there with #nofilter!